You can download our comprehensive guide to Settled Status here. If you do not have access to an Android phone, but you have biometric chip in your documents, you can scan them in a number of locations in Scotland. Full list on the gov.uk website here. If the automated checks of residence for the Settled Status do not work in you case, you can provide scanned copies of some accepted documents. You can find the full list on the gov.uk website here. What happens in case of no deal Brexit? Our guide, links to Free Movement website, videos and links to Home Office and Scottish Government website in one handy link – here. This factsheet provides a brief summary of your right to work in Scotland before, during and after the Brexit transition period. This factsheet provides a brief summary of your rights to access benefits, housing and social work support in Scotland before, during and after the Brexit transition period. This factsheet provides a brief summary of your rights to Education in Scotland before, during and after the Brexit transition period. This factsheet provides a brief summary of your right to access free healthcare from the National Health Service (NHS) in Scotland before, during and after the Brexit transition period. 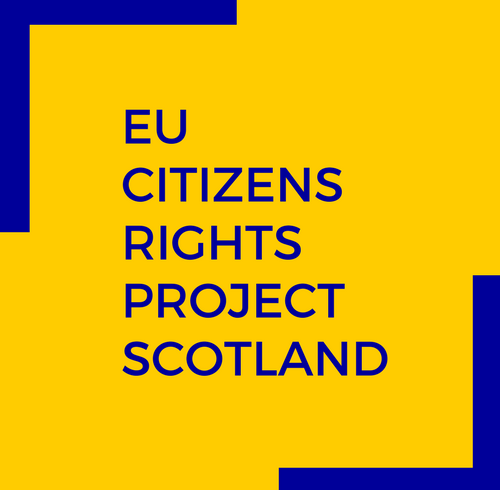 This factsheet provides a brief summary of your right to vote in elections in Scotland before, during and after the Brexit transition period. Following the recent Brexit extension, EU Citizens in the UK can now choose to vote either for a British or their home country candidate in the upcoming European Elections. Click here to check registration deadlines and ways to vote. The Scottish Government has published “a package of support” for EU citizens. You can find resources for EU citizens and employers here. You can also find a letter of support from the First Minister translated into German, Polish, Spanish and French here. The EU Settlement Scheme for EU citizens is now open; it means EU citizens can now apply for the “Settled Status”. Read about it in all European Languages: Settled Status for EU Citizens and Their Families – Translations. #EU citizens in the UK: What to do vote in the #EuropeanElections2019 for a British candidate: a #Bulgarian edition. Българските граждани в Обединеното кралство могат да гласуват на изборите за европейски парламент през май. По-надолу обясняваме какво трябва да направите СЕГА, за да можете да гласувате в Обединеното кралство.